Over the past three years I have grown accustomed to the puzzled look which appears on people's faces when they hear that I am a mathematician who studies sleep. 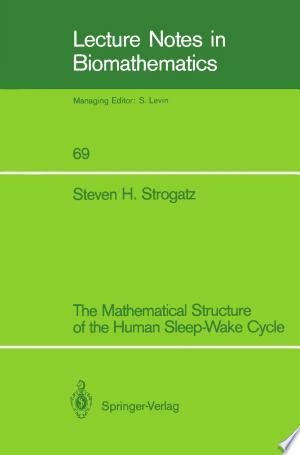 They wonder, but are usually too polite to ask, what does mathematics have to do with sleep? Instead they ask the questions that fascinate us all: Why do we have to sleep? How much sleep do we really need? Why do we dream? These questions usually spark a lively discussion leading to the exchange of anecdotes, last night's dreams, and other personal information. But they are questions about the func tion of sleep and, interesting as they are, I shall have little more to say about them here. The questions that have concerned me deal instead with the timing of sleep. For those of us on a regular schedule, questions of timing may seem vacuous. We go to bed at night and get up in the morning, going through a cycle of sleeping and waking every 24 hours. Yet to a large extent, the cycle is imposed by the world around us.